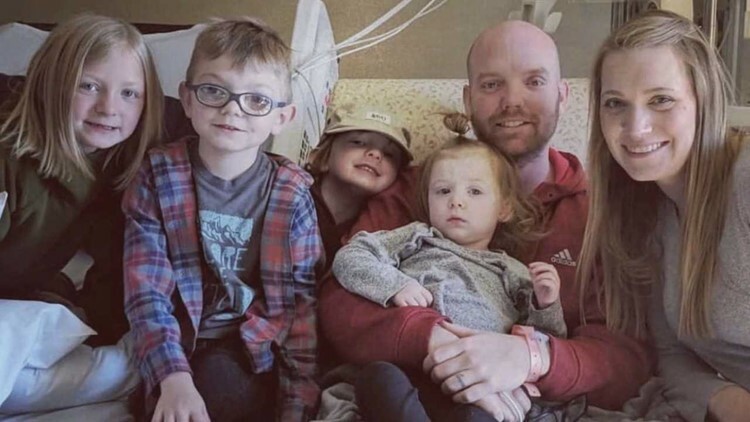 Colorado firefighter Cody Mooney was a father of four, with a fifth child on the way. KUSA – In his journal, Cody Mooney’s wife said he wrote down what he hoped his legacy would be. “I hope they remember me as a man who was devoted to the things in my life: God, family, friends and fun,” Emily Mooney read during her husband's memorial service on Friday afternoon. And if how he was remembered during the ceremony is any indication, Cody Mooney's final wish has been fulfilled. Cody Mooney, 31, was a South Metro firefighter. He died on Saturday following a battle with an aggressive brain tumor, and his final act was to donate his organs: a life-saving act that summed up the selfless way he lived his life. 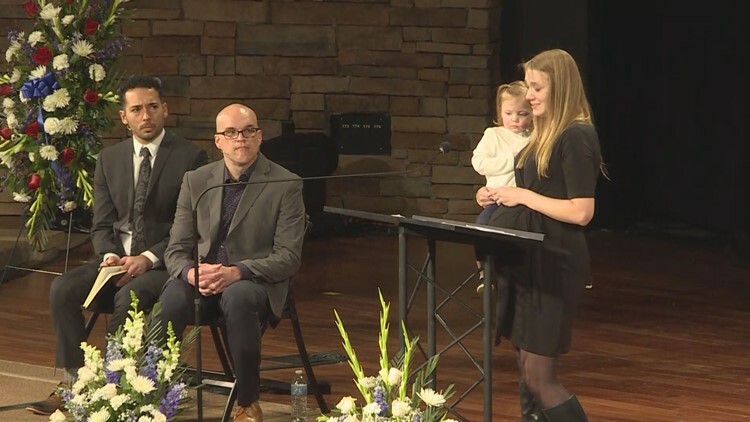 Multiple family members, friends and a former coworker spoke during his memorial service on Friday at Mission Hills Church in Littleton. Cody Mooney’s four children were seated near the front of their church during the memorial service, and Emily Mooney was the second speaker during the emotional ceremony. She is due to give birth to the couple’s fifth child very soon, and held their young daughter in her arms as she remembered the man she first started dating during their freshman year of high school, and has been married to for a decade. She said her husband’s defining factor was his love of Jesus Christ, and that he was an avid outdoorsman who actively pursued deep, meaningful relationships. “I will always miss him, love him, and long for him,” she said. Firefighter Dave Petau recounted Cody Mooney’s days training to be a firefighter, and how he used to run upstairs before people had even arrived for training. Specifically, he remembered one day when Cody Mooney helped save a man who had fallen into cardiac arrest. That same man attended Cody Mooney’s memorial service. “While it was a team effort that night, I have no doubt in my mind if Cody wasn’t alive, he would not be there today,” Petau said. Cody Mooney’s father Kevin Mooney thanked the state of Colorado for their flood of support for his son following his death. He told 9NEWS earlier this week that Cody Mooney moved to Colorado because he loved the mountains so much, and he wanted his kids to grow up as natives. “He would have wanted us to show up because he showed up for people,” Kevin Mooney said. And now that he’s gone, she’s modified that message. “Love you, miss you, wish we could kiss you,” she said. On Monday, South Metro Fire Rescue shared a link to a GoFundme page for the family. Firefighters are also collecting donations through the South Metro Professional Firefighters Association. Cody Mooney and his family.